Today was the First Annual Lake Wicwas Paddle Regatta, hosted by Tom and Sharon. 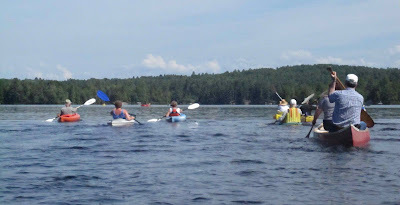 There was a great turn out - perhaps 20 vessels - ranging from one to three-person power, and participants ranging in age from under 10 to over 70. Sadly, the start was delayed by the Powell crew - who showed up late - but the weather was perfect, nearly calm at the start, with a light southerly wind later on to keep everyone cool. The event had great support from the committee boat throughout the course. Afterward there was a BBQ with fabulous food, drink, and company, as well as prizes and certificates for everyone. And of course, the terrific desserts! Many thanks to Tom, Sharon, and Paula, and all the others who helped organize the event. We may have set a record for the most boats on Lake Wicwas at one time, as there was a bass tournament taking place at the same time. I was at the ramp this morning for Lake Host duty when they launched and started their day. 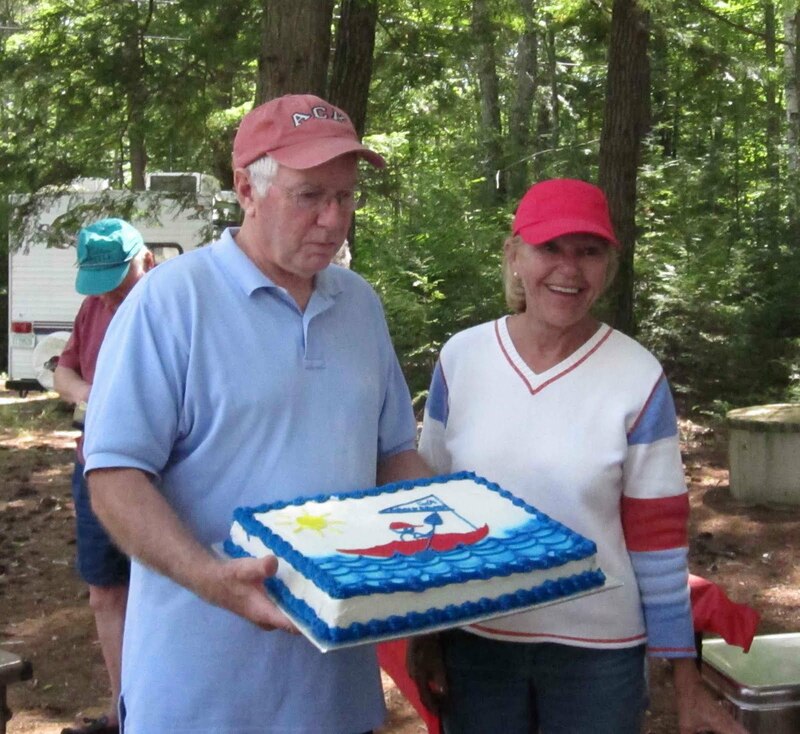 They were a great group of people, and most were well versed in exotic plants and the Lake Host program. One of the best parts of hosting the early morning shift is watching the sun rise, highlighting Crockett's Ledge with orange light shining through the mist. There was also a beautiful sight looking east across the marsh and the Chemung forest. Anyone who wants to enjoy this experience can call Paul Trombi and sign up to be a Lake Host! The only down part of the whole day was paddling over to the start of the regatta, in the calm water, where we went through a couple of large blooms of cyanobacteria (probably oscillatoria, as identified by NH DES). The patches were approximately 45 feet across, with individual clumps 4 to 10 inches in size. 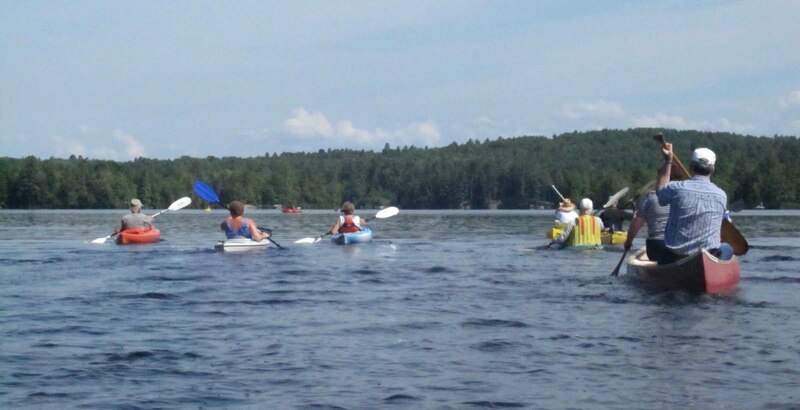 Not uncommon on Lake Wicwas and all lakes in NH, but something to be attentive to, both to the toxic properties of cyanobacteria, and the steps everyone can take to reduce its presence in our lakes. (Click here for information on cyanobacteria from the NH DES).